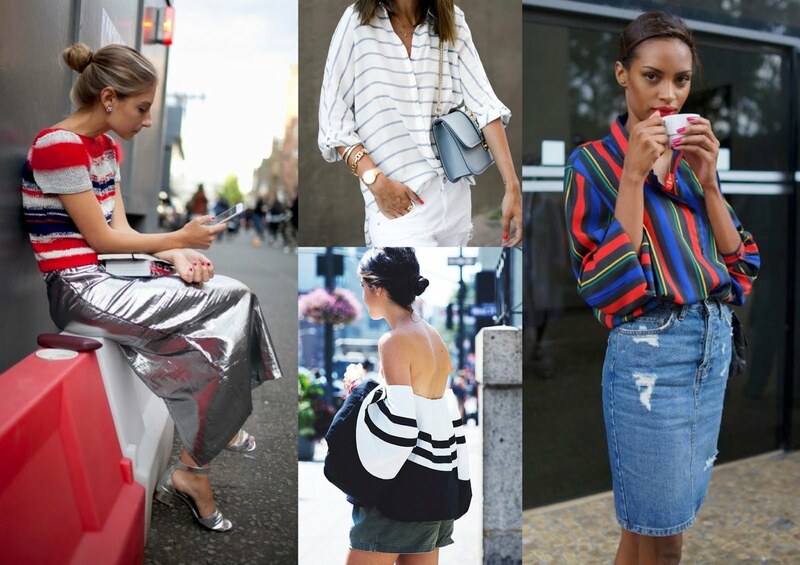 The trusty Breton top is one of the most favoured staples to wear especially during the summer months and it's our number one choice when we're looking for something striped, but the options are endless with stripes so why stop at a top? Today I'm showing you all things stripes, whether it's verticle, horizontal, diagonal, big or small, it's a must have in your wardrobe. When it comes to stripes on clothes I've always played it safe, stripes are huge this season and there's no better time than now to try something new. 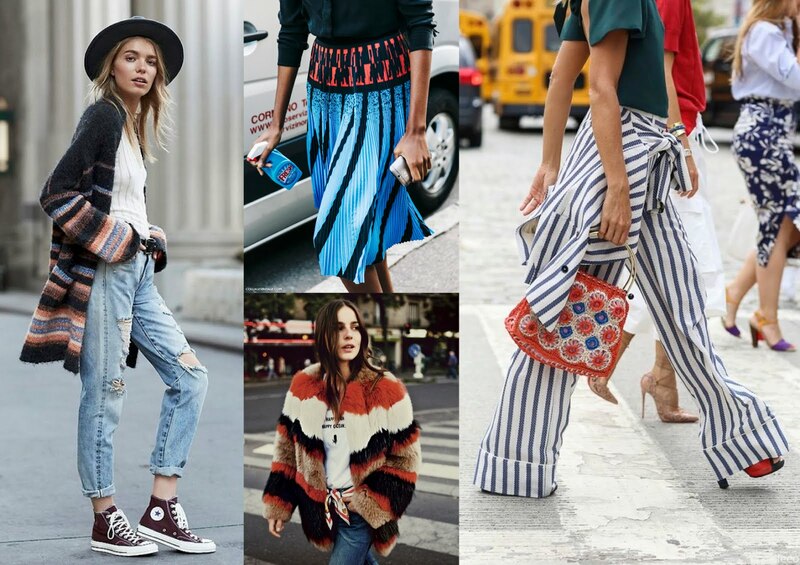 Statement outwear always works no matter what season, especially over a simple outfit. I would balance out striped bottoms with plain colours on top. But if you're feeling brave mix it up like we saw on the SS16 catwalks. 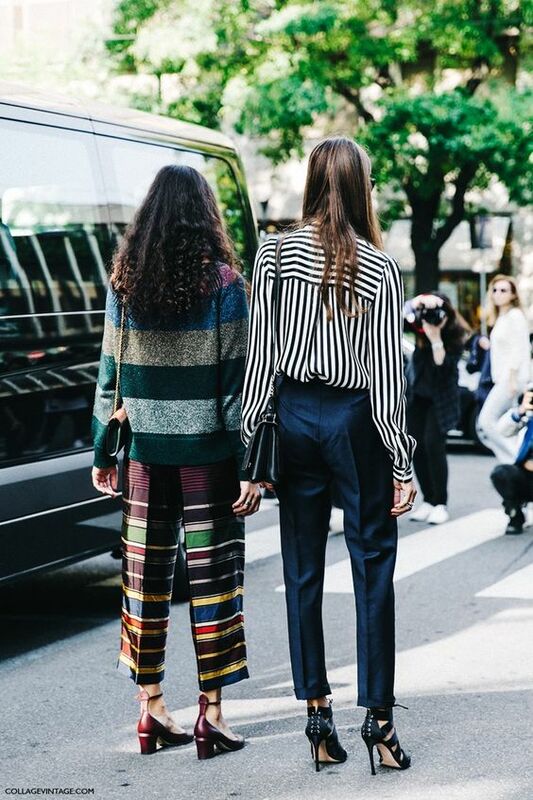 Head to toe in stripes always look good if done well, and remember there's always layering, layer a dress or jumpsuit with a jacket or jumper. 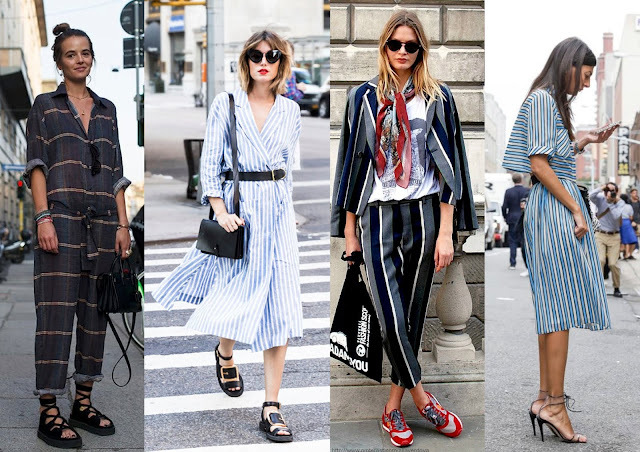 No matter how you wear stripes it's always a winner in your wardrobe and there is always one that will suit you. This skirt from Topshop is great if you don't like loud prints, gorgeous rust colour with monochrome stripes. Pair with a white t-shirt for summer. Loving this dress by ASOS, I would wear with trainers during the day or sandals in the summer but looks lovely dressed up with heels too as per photo. 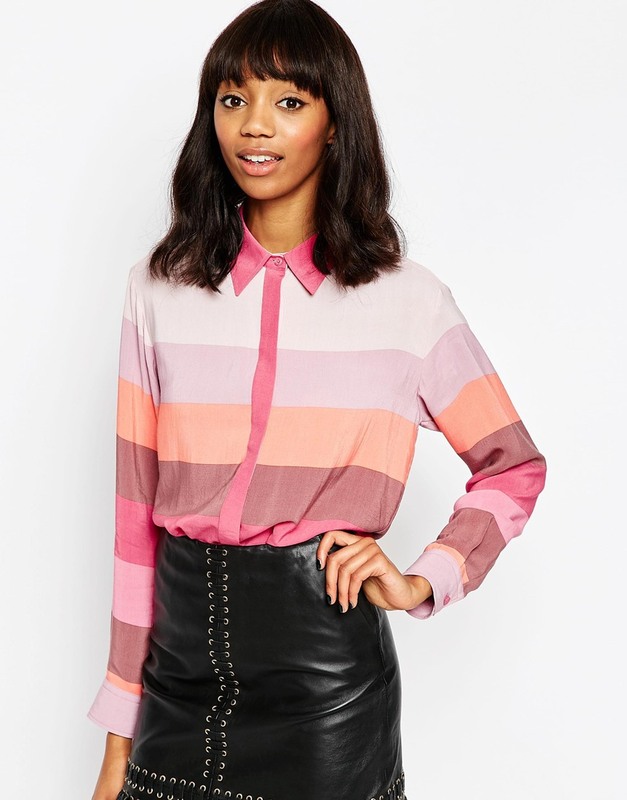 This shirt is perfect for Spring, the different shades of pink works so well, I would pair this with denim or a leather skirt for an evening look. Would also look good with plain trousers and heels. Hope you've liked some of my picks, there is actually loads of stripes on the high street at the moment so you will be spoilt for choice. Happy shopping!